I basically want to have my subviews positioned differently depending upon the orientation of the iPad (Portrait or Landscape) using Sizing Classes introduced in xcode 6. I have found numerous tutorials explaining how different sizing classes are available for Iphones in portrait and landscape on the IB but however there seem to be none that cover individual landscape or portrait modes for the iPad on IB. Can anyone help? It appears to be Apple's intent to treat both iPad orientations as the same -- but as a number of us are finding, there are very legitimate design reasons to want to vary the UI layout for iPad Portrait vs. iPad Landscape. Unfortunately, the current OS doesn't seem to provide support for this distinction ... meaning that we're back to manipulating auto-layout constraints in code or similar workarounds to achieve what we should ideally be able to get for free using Adaptive UI. Isn't there a way to leverage the magic that Apple's already built into IB and UIKit to use a size class of our choosing for a given orientation? In thinking about the problem more generically, I realized that 'size classes' are simply ways to address multiple layouts that are stored in IB, so that they can be called up as needed at runtime. So regardless of what Apple has decided to name these different variations, fundamentally, they're just a pair of integers used as a unique identifier of sorts, to distinguish one layout from another, stored in IB. 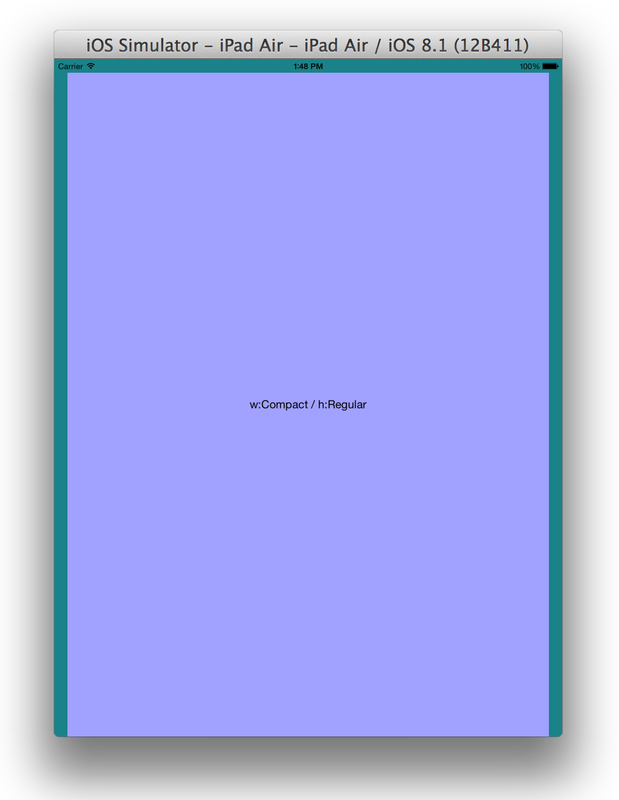 Now, supposing that we create an alternate layout (using a unused size class) in IB -- say, for iPad Portrait ... is there a way to have the device use our choice of size class (UI layout) as needed at runtime? // Call to modify the trait collection for child view controllers. Thus, if you can package your view controller hierarchy as a 'child' view controller, and add it to a top-level parent view controller ... then you can conditionally override the child into thinking that it's a different size class than the default from the OS. Voila! Custom size class configurations at runtime. Hopefully Apple will make this unnecessary in the next version of the OS. In the meantime, this may be a more elegant and scalable approach than programmatically messing with auto-layout constraints or doing other manipulations in code. EDIT (6/4/15): Please bear in mind that the sample code above is essentially a proof of concept to demonstrate the technique. Feel free to adapt as needed for your own specific application. As a summary to the very long answer by RonDiamond. All you need to do is in your root view controller. Then in storyborad use compact width for Portrait and Regular width for Landscape. The iPad has the 'regular' size trait for both horizontal and vertical dimensions, giving no distinction between portrait and landscape. // Distinguish portrait and landscape size traits for iPad, similar to iPhone 7 Plus. // Be aware that `traitCollection` documentation advises against overriding it. 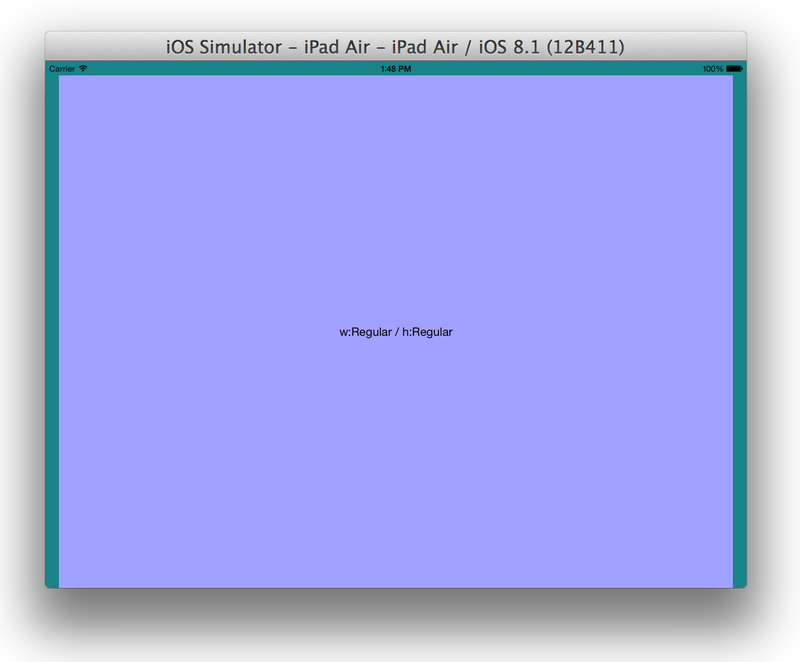 // For apps linked against iOS 8 or later, this method returns true if the view controller is in a vertically compact environment. This gives the iPad the same size traits as the iPhone 7 Plus. Note that other iPhone models generally have the 'compact width' trait (rather than regular width) regardless of orientation. Mimicking the iPhone 7 Plus in this way allows that model to be used as a stand-in for the iPad in Xcode's Interface Builder, which is unaware of customizations in code. Be aware that Split View on the iPad may use different size traits from normal full screen operation. This answer is based on the approach taken in this blog post, with some improvements. Update 2019-01-02: Updated to fix intermittent hidden status bar in iPad landscape, and potential trampling of (newer) traits in UITraitCollection. Also noted that Apple documentation actually recommends against overriding traitCollection, so in future there may turn out to be issues with this technique. So, add constraints in InterfaceBuilder with variations for Width - Compact, for example for constraint's property Installed. 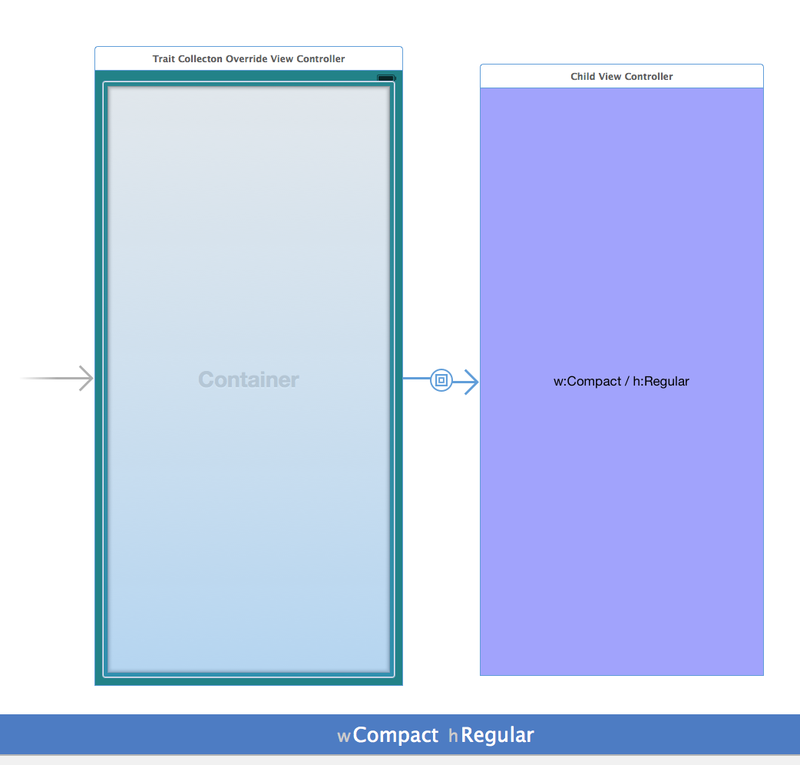 So Width - Any will be valid for landscape, Width - Compact for Portrait. Not the answer you're looking for? Browse other questions tagged objective-c ios8 size-classes adaptive-ui or ask your own question. iOS auto layout: how to design different layouts for iPad landscape and iPad portrait in Xcode storyboard? How to translate this objective c traitCollection to swift?